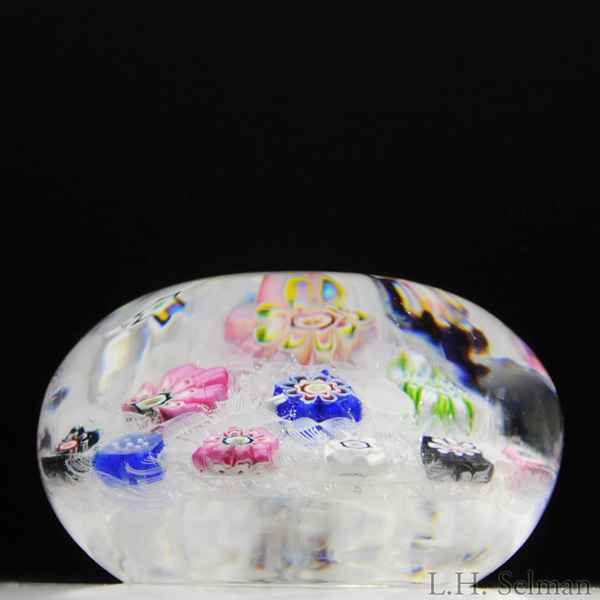 Antique Clichy millefiori chequer paperweight. A large central pink, green and white pastry mold cane is surrounded by two concentric rings of eighteen spaced complex canes in shades of pink, green, blue, red, purple and white, divided by sections of white latticinio, over parallel strips of white latticinio. Chips to base. Diameter 2 1/2".